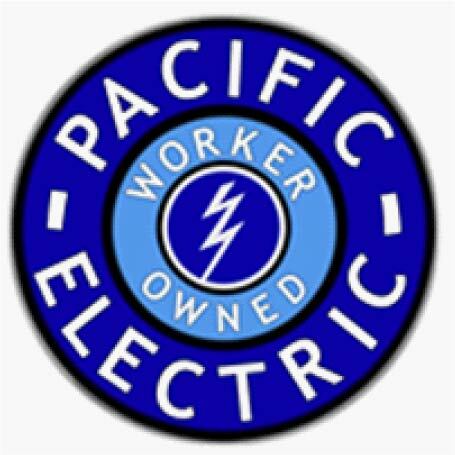 Pacific Electric is a full service electrical and solar contracting firm and a worker owned coop. They are having a kick off party at the L.A. Eco Village on Friday, April 25 at 6pm and you are invited. What: Pacific electric coop kick off party. Enjoy some homemade food, locally brewed beer and cider. Music by DJ Nova Jade. Live music by Pawing at the Ceiling. Featuring locally crafted pendant lights by Melba Thorne. 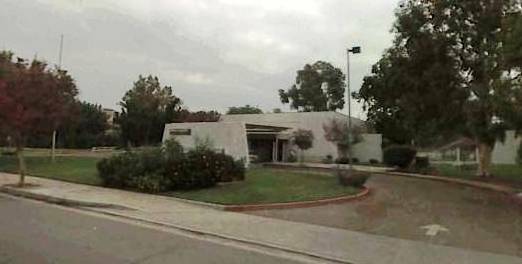 Large two bedroom available in transit rich/bicycle friendly permaculture oriented neighborhood (about 3 miles west of downtown and 4 miles south of the Observatory as the crow flies). Move-in costs: $3,000. Includes 1st and last of $1200 plus $600 cleaning deposit. If you are interested, please email Kris Benjamin (140Bimini@gmail.com) to set up a time to view the unit and go over the application. Applications are due as soon as possible, and candidate selection will occur sometime in April. This is an issue that is near and dear to the hearts of many of us who have followed the events and on-going disasters at Fukushima. 1. Please call your Los Angeles City Councilmember and tell them you support the Koretz/Rosendahl resolution on San Onofre safety! To find out who your Councilmember is, go to this link: http://lacity.org/YourGovernment/CityCouncil/index.htm Go to the bottom right hand side of the page where it says “Neighborhood Resources” and type in your address. 2. Please show up at the meeting tomorrow. It is enough to stand up and be counted, when one of the speakers tells everyone in support of the resolution to stand up. If you want to speak, you will have about a minute. The most important message you can give is that you are an LA resident, you are concerned about safety, and you support the resolution. If you are not from LA, it would be most helpful to stand up and be counted, since the Councilmembers will prioritize LA constituents. WHEN: The council meets tomorrow, Friday, December 14 at 10 a.m. at City Hall, 200 North Spring Street. Please arrive at 9:30 to have time to go through security. Let’s Have An s4p Plaza Right Quick! Stephanie Speights is in the Masters Program in Urban Sustainability at Antioch University in Culver City. She’s doing an internship with CRSP here in L.A. Eco-Village and has a passion for transportation issues. 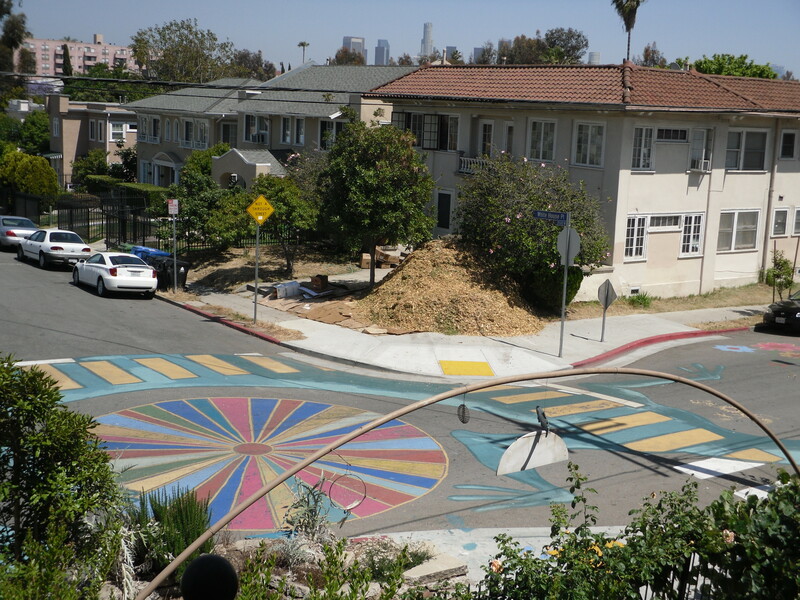 She’ll be working with our community and neighborhood on the process and a plan for transforming our alleyway and a portion of Bimini Place into a mini park, thereby radically reducing traffic in LAEV and generating a variety of other benefits for the neighborhood. 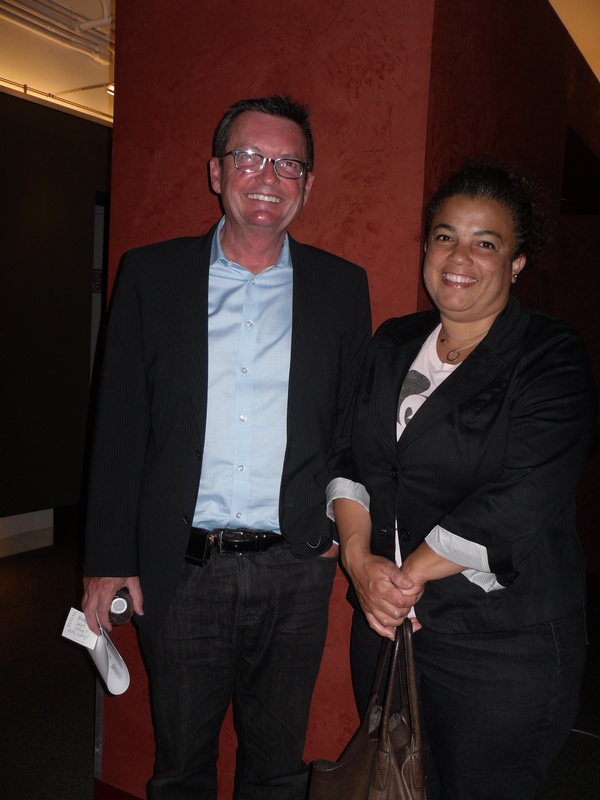 Architect & President, L.A. City Planning Commission Bill Roschen with L.A. Eco-Village Transportation Intern Stephanie Speights at s4p meeting. On Wednesday, May 16th, Stephanie and I attended a meeting at the LA office of the American Institute of Architects (AIA) where Architect and president of the L.A. City Planning Commission, Bill Roschen, gave a presentation on the City’s s4p program, along with Public Health Policy Analyst Margot Ocañas. What most of us probably hadn’t heard is that the 11,000 square foot plaza was accomplished by the City in partnership with local community groups in an unprecedented four months and for under $30,000! (Of course, the community groups worked and advocated for this many years before the City actually got involved).